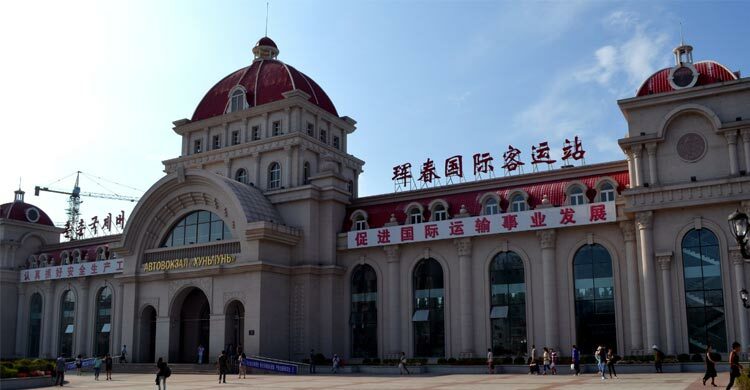 Hunchun, a border city in northeast China's Jilin Province, plans to build an international inland port by 2022, local authorities have said. The planned port will serve as a regional hub for storage and shipping of goods and containers, said Wu Xianzhe, vice mayor of Hunchun. The project will be funded by Ningbo Zhoushan Port Group in east China's Zhejiang Province with an estimated investment of 500 million yuan (about 74.6 million U.S. dollars) to 1 billion yuan. The construction of the inland port is part of efforts to develop trade and logistics in northeast Asia. Located at the junction of China, Russia and the Democratic People's Republic of Korea (DPRK), Hunchun is surrounded by over 10 Russian or DPRK ports within a radius of 200 square kilometers. It is only 71 km away from Zarubino Port in Russia.